The newest Humble Bundle to hit the web brings a lineup of Artifex Mundi games, all of which are known for their quality and time-consuming attributes. As a reminder, Humble Bundle allows players to pay what they want for games, plus if you pay more than the average, you get bonus games. As of right now, if you pay under $5.33, you gain access to Deadly Puzzles, Time Mysteries 1, and Clockwork Tales. Looking over on Google Play, each of these games are listed at $4.99. 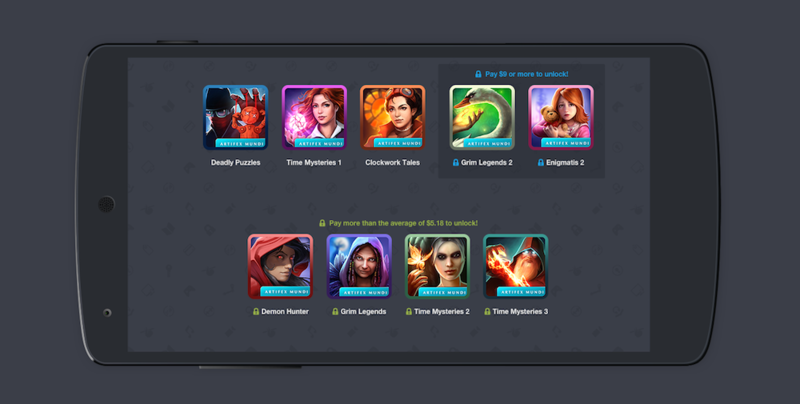 If you pay $5.33 or more, you also get Demon Hunter, Grim Legends, Time Mysteries 2, and Time Mysteries 3. If you are feeling generous, you can pay $9 or more and receive Grim Legends 2 and Enigmatis 2. Depending on how you split it up, a portion or all of the proceeds of your purchase benefits the Prevent Cancer Foundation. So, you get fun games for a great price, and help an awesome cause.